Le Brun also spelled LEBRUN (b. Feb. 24, 1619, Paris, France--d. Feb. 12, 1690, Paris), painter and designer who became the arbiter of artistic production in France during the last half of the 17th century. Possessing both technical facility and the capacity to organize and carry out many vast projects, Le Brun personally created or supervised the production of most of the paintings, sculptures, and decorative objects commissioned by the French government for three decades during the reign of Louis XIV. Under his direction French artists created a homogeneous style that came to be accepted throughout Europe as the paragon of academic and propagandistic art. Lebrun, Charles (1619-90). 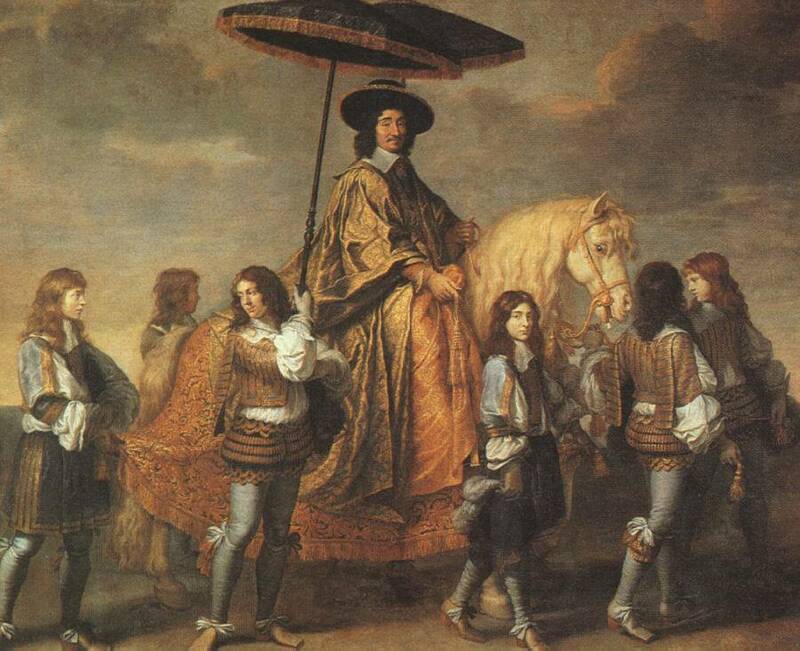 French painter and art theorist, the dominant artist of Louis XIV's reign. After training with Vouet he went to Rome in 1642 and worked under Poussin, becoming a convert to the latter's theories of art. He returned to Paris in 1646. From 1661 he became established in the employ of Louis XIV, in 1662 he was raised to the nobility and named Premier Paintre du roi , and in 1663 he was made director of the reorganized Academie, which he turned into a channel for imposing a codified system of orthodoxy in matters of art. 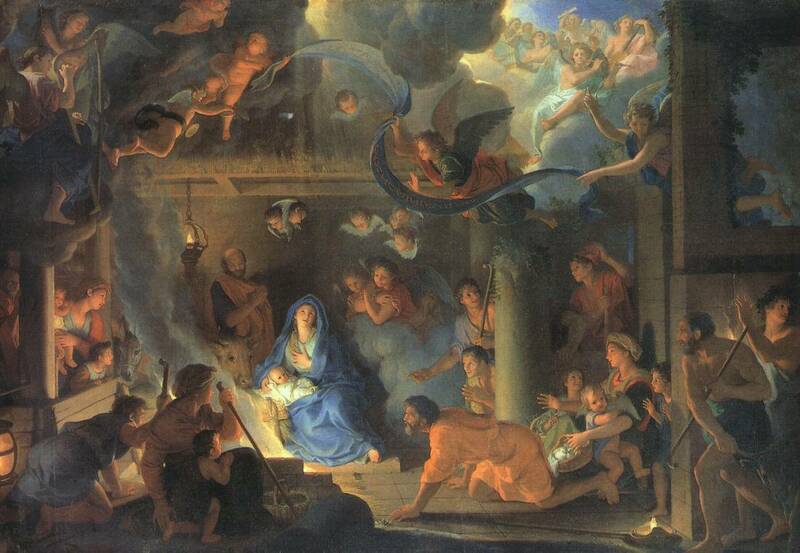 His lectures came to be accepted as providing the official standards of artistic correctness and, formulated on the basis of the Classicism of Poussin, gave authority to the view that every aspect of artistic creation can be reduced to teachable rule and precept. In 1698 his small illustrated treatise Methode pour apprendre a dessiner les passions... was posthumously published; in this, again following theories of Poussin, he purported to codify the visual expression of the emotions in painting. Despite the Classicism of his theories, Lebrun's own talents lay rather in the direction of flamboyant and grandiose decorative effects. 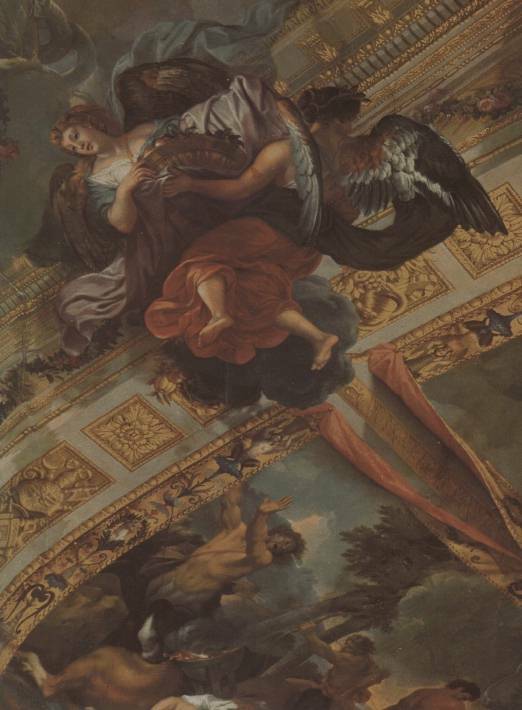 Among the most outstanding of his works for the king were the Galerie d'Apollon at the Louvre (1663), and the famous Galerie des Glaces (1679-84) and the Great Staircase (1671-78, destroyed in 1752) at Versailles. His importance in the history of French art is twofold: his contributions to the magnificence of the Grand Manner of Louis XIV and his influence in laying the basis of academicism. Many of the leading French artists of the next generation trained in his studio. 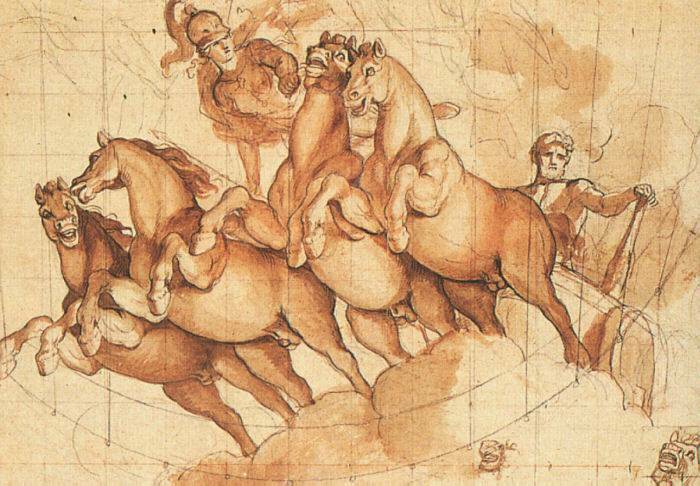 Lebrun was a fine portraitist and an extremely prolific draughtsman.